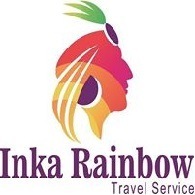 All Inka Rainbow tours, river cruises, expedition cruises, and adventure trips. Find the best guided trips and expert planned vacation and holiday packages. Average rating of 5.0 for all Inka Rainbow trips. Hike to the top of HuaynaPicchu, where you will have the best view of the site. Visit “The oasis of Huacachina”, in Inca, where we will see sand dunes on the coast. Explore the colonial city of Arequipa. Visit Cruz Del Condor where you will be able to see the sacred bird of the Andes.